Pure cashmere scarf, in a cheerful strawberry pink, perfect for ensuring a happy day! 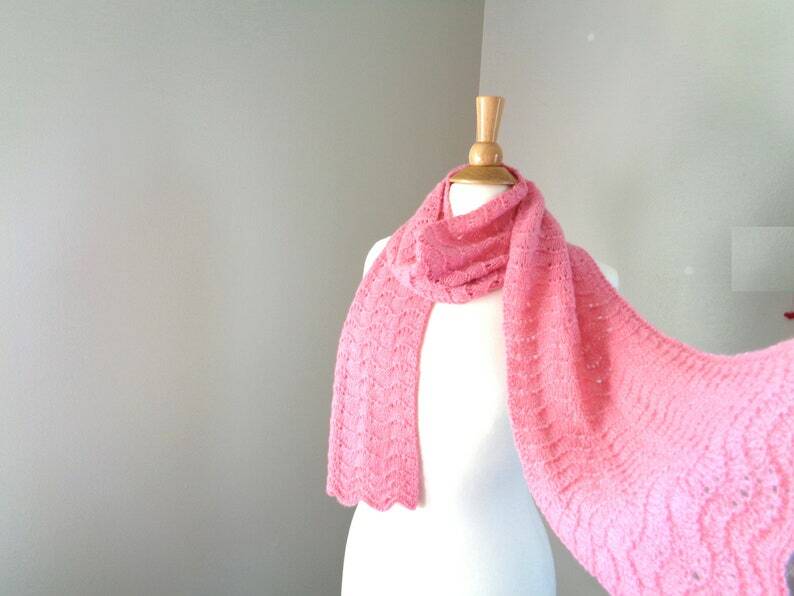 I used a scallop lace pattern for a pretty texture that looks great in this color. Hand knit in a lovely medium-weight cashmere yarn that's super soft. Extra long to wear wrapped, looped, tied or draped. Lovely for any woman, lady, grandmother, or teen who appreciates fine things.